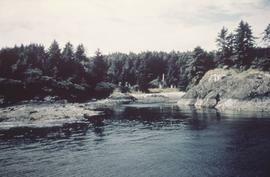 File consists of photographs taken at Anthony Island, Haida Gwaii, on a 1957 trip. 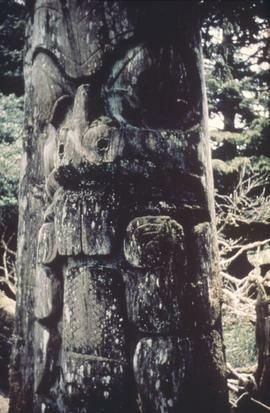 The majority of the images appear to be at the Ninstints village site on Anthony Island. 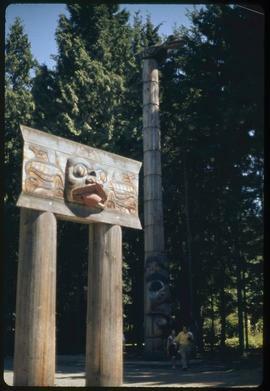 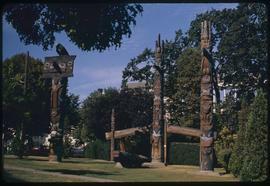 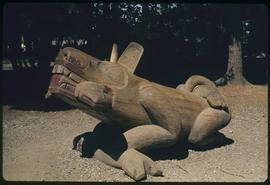 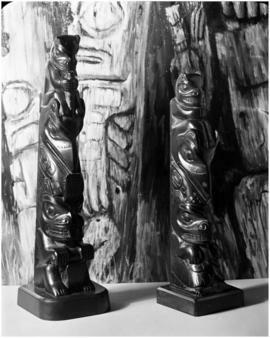 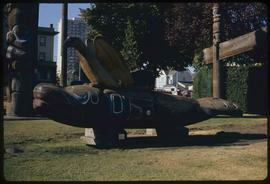 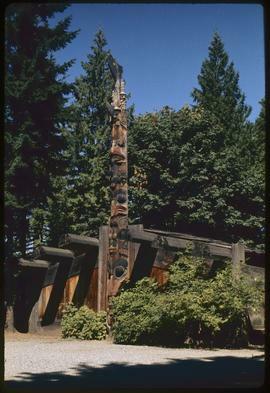 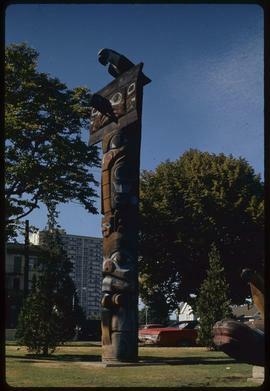 Image of two argillite carvings by Claude Davidson, located at the Museum of Anthropology at the University of British Columbia. 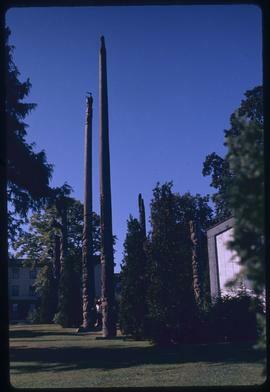 Image of argillite carvings by Haida artist Sharon Hitchcock, located at the Museum of Anthropology at the University of British Columbia. 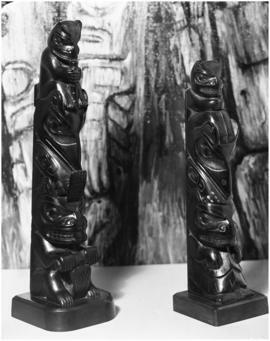 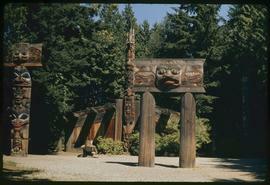 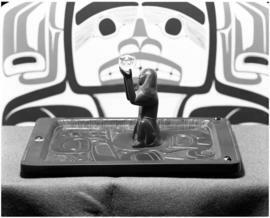 File consists of images of argillite carvings by Haida artist Claude Davidson. 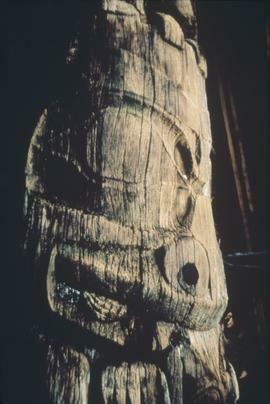 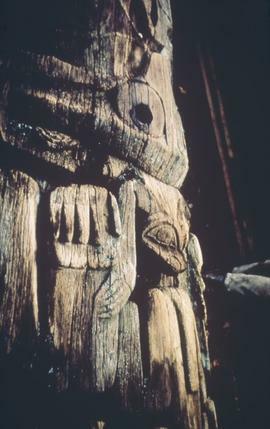 File consists of an image of an argillite carving by Haida artist Sharon Hitchcock.